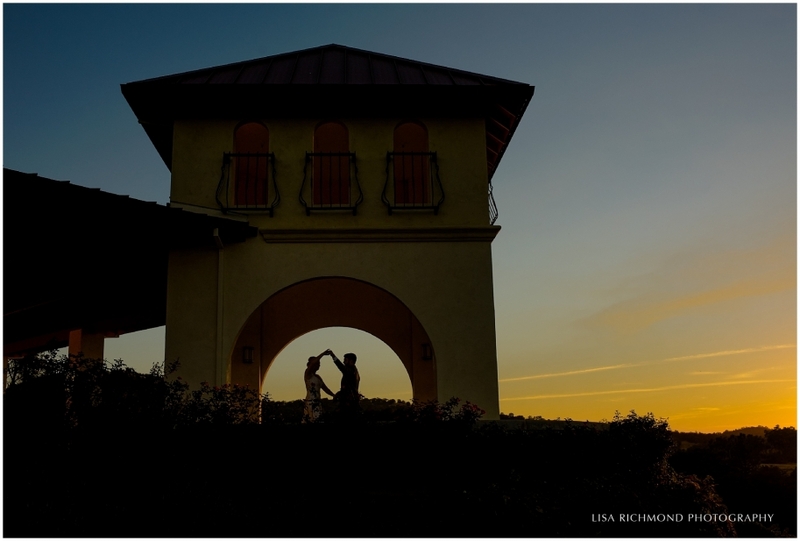 On a warm late summer evening at David Girard Vineyards, Jenna and Casey said “I do”. The sun may have been blazing hot but not much could hold a candle to the love that shone from these two. These sweethearts proved how sweet they really are on each other by lighting a “unity Sterno” during their ceremony, which they then used to toast marshmallows for s’mores. Sounds funny at first, until the bride and groom told us that they had shared s’mores on their very first date. And before she slipped into her elegant lace gown, Jenna had been wearing the same dress that she had worn on the day that they met. There’s so much history and tradition between these two already, it’s exciting to imagine how much more the future has in store! Jenna and Casey are such a perfect match, we had to jokingly tell them to “try and show a little more authentic emotion!” because we just weren’t feeling it. Ha, just kidding! 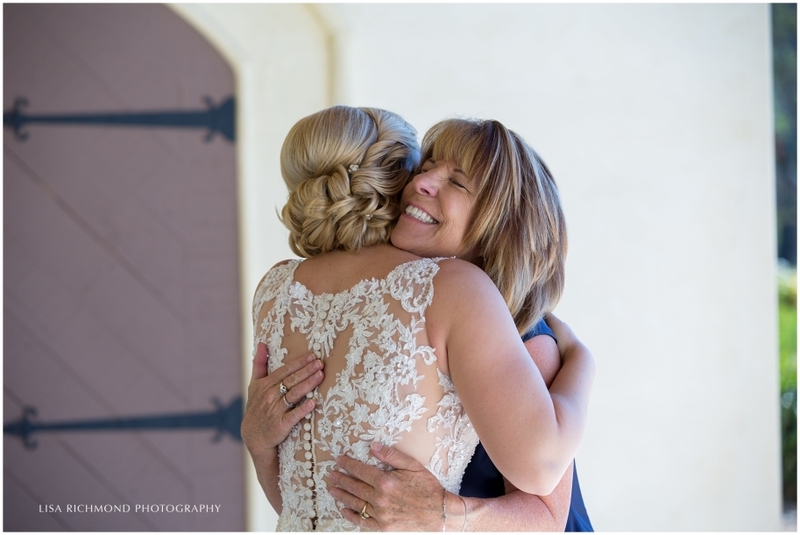 Take a peek at their photos and see for yourself – these two couldn’t stop with the radiant smiles, loving glances, and romantic kisses. Made for each other? Pretty much. 🙂 Their open and expressive affection for each other made the day fly by in a happy haze, and before we knew it we were photographing their exit from the reception. Friends and family made a tunnel and blew bubbles overhead as Jenna and Casey left for their honeymoon in Hawaii. Not a bad end to a great wedding, we’d say! 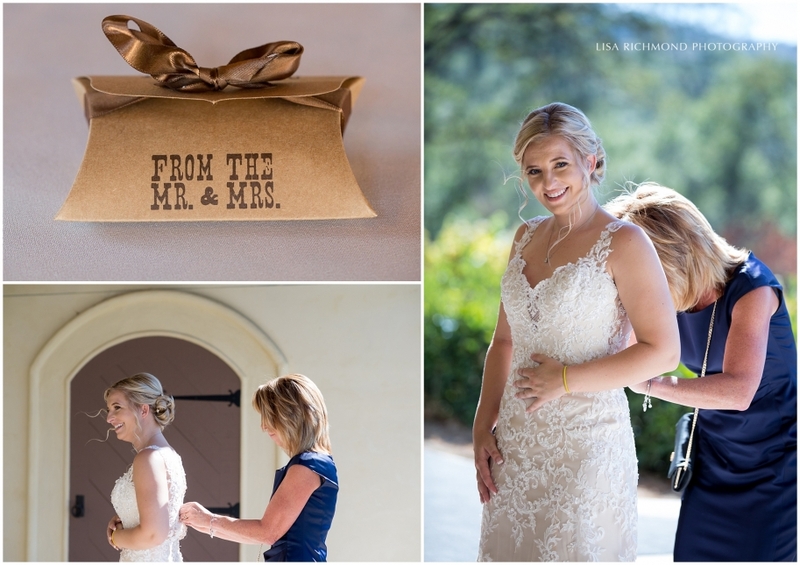 Thank you so much Jenna and Casey for inviting us to document your special day. May there be much happiness in the years ahead, and many, many more s’mores roasts to come! Your gratitude for what I work so hard at, helps keep me going….Thank you Kathy! EXCEPTIONAL photographs, Lisa. You are truly a superstar with incredible talent. I love your work! Thanks for keeping me on your list.